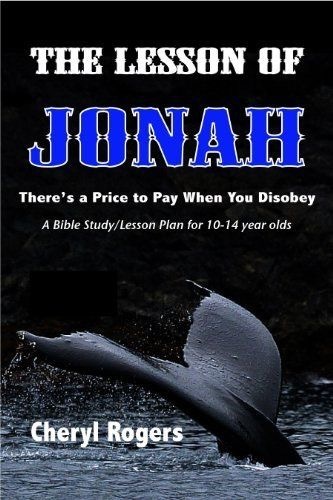 The Lesson of Jonah: There is a Price to Pay When You Disobey is a Bible study which involves a modern-day Jonah. The study includes a short story, plus Bible cites and discussion questions. The story is excerpted from Just Like Jonah Wail Tales, a short story collection involving modern Jonahs who mess up but turn to God and receive his mercy. The Bible study and story collection, both by Cheryl Rogers, are aimed at 10 to 14 year olds. While this is geared toward our youth, I do believe we can learn from some of these books. Also, if we do not look at the books & studies for our children…how will we know what precisely they are learning?